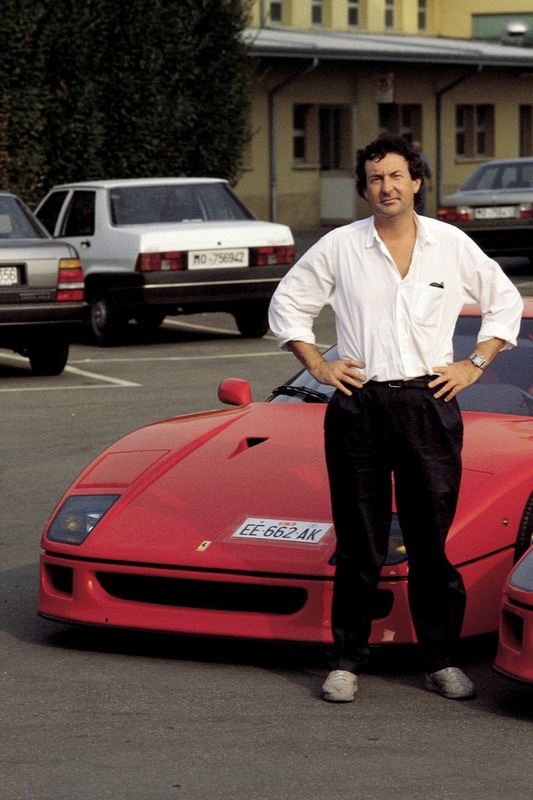 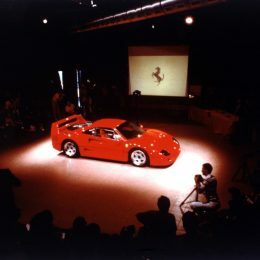 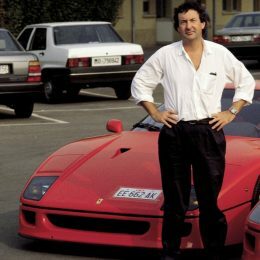 Ermanno Bonfiglioli, who as Head of Special Projects was responsible for supercharged engines, has not forgotten the excitement of that 21 July: “I have never experienced a presentation like that of the F40. 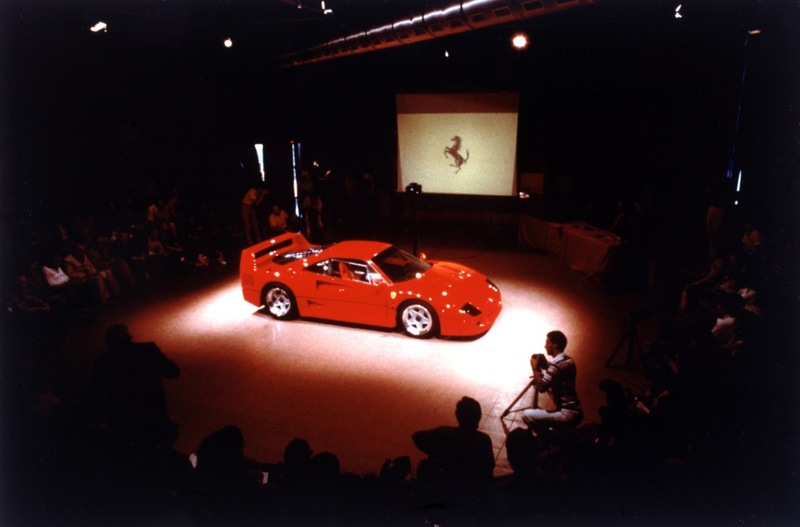 When the car was unveiled, a buzz passed through the room followed by thunderous applause. 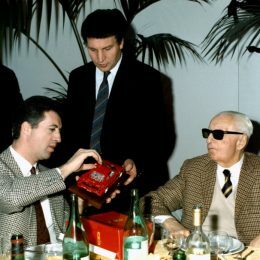 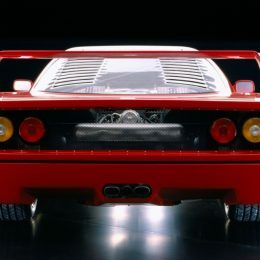 No one, except for close associates of Enzo Ferrari, had yet seen it. 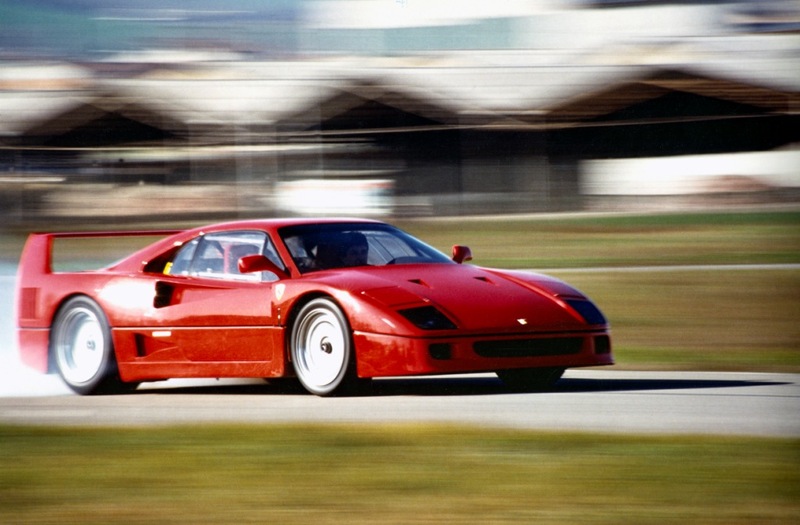 Indeed, the company had cloaked the development and testing of that car in unusual secrecy. 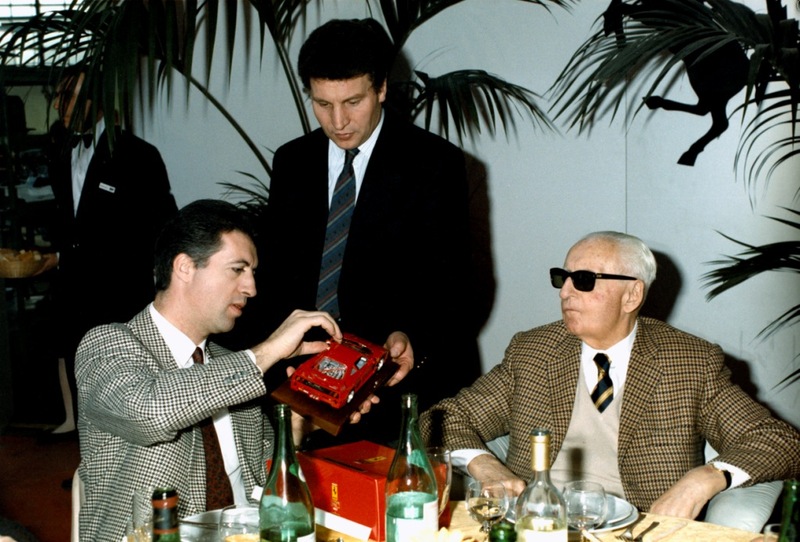 And the surprise at such a stylistic leap was almost shock. 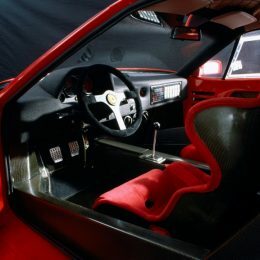 The timeframe was also unusual, within the very short arc of 13 months, the chassis and bodywork moving ahead quickly and at the same pace as the powertrain. 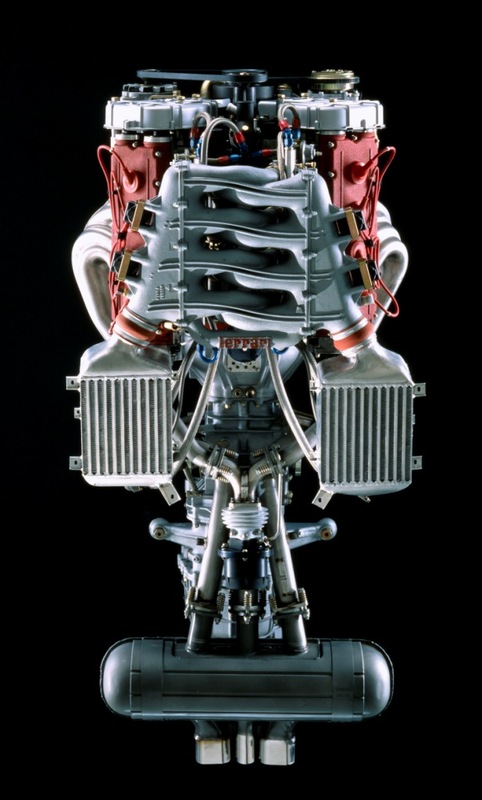 It was June 1986 when we began designing the engine of the project F 120 A. 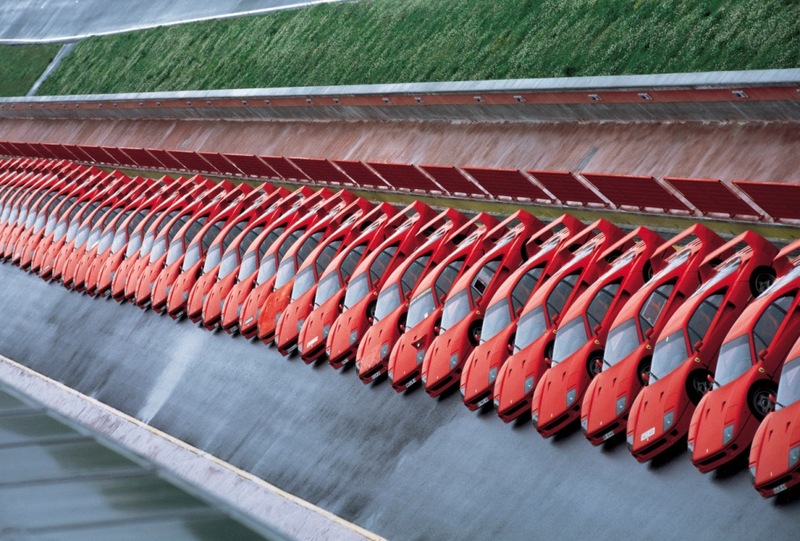 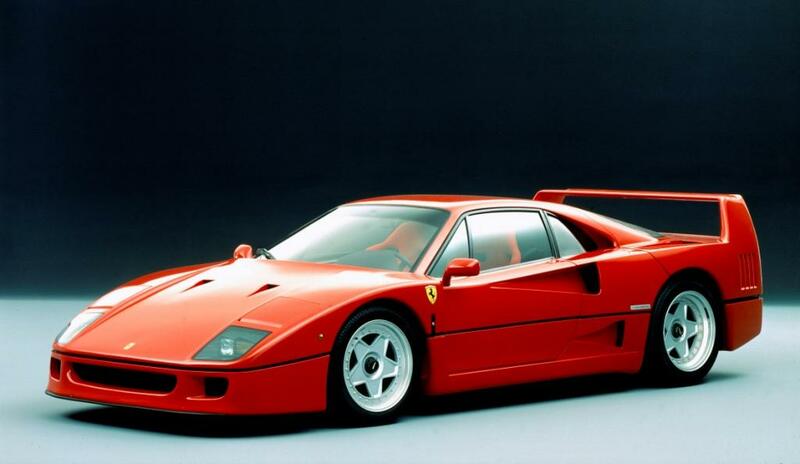 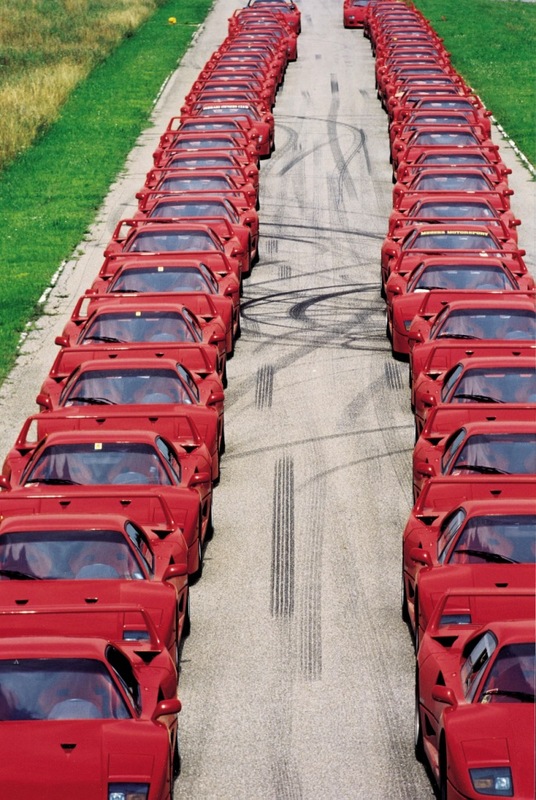 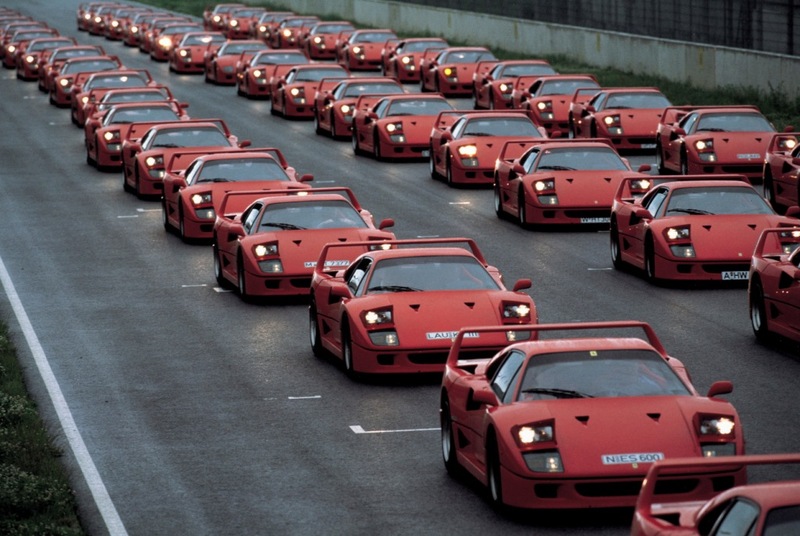 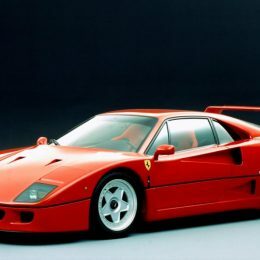 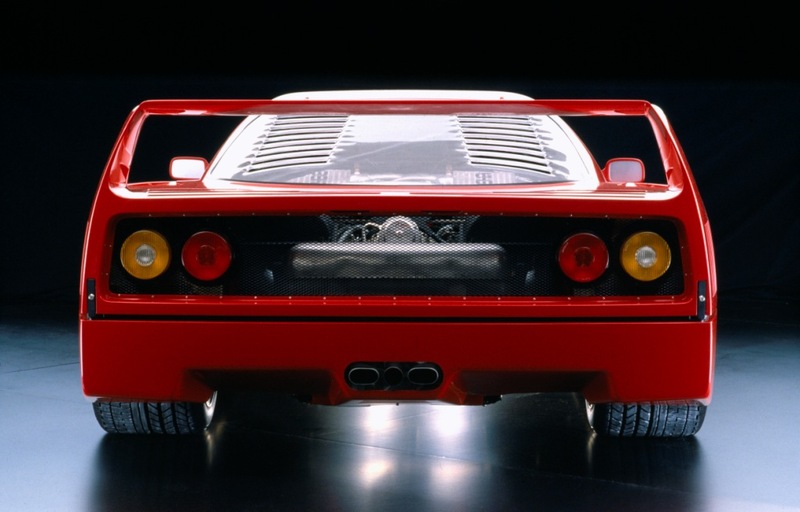 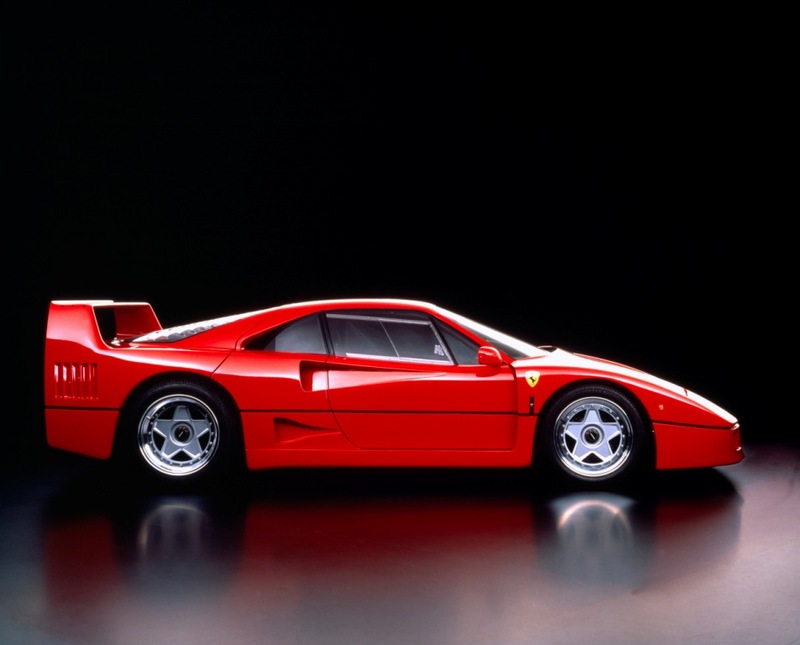 The 8-cylinder 478 hp twin-turbo was a derivative of the 288 GTO Evoluzione’s, but a number of innovative contents enabled the F40 to become the first production Ferrari to exceed 320 km/h. 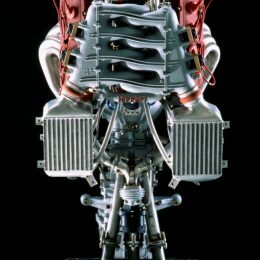 We paid maximum attention to the weight of the engine, thanks also to the extensive use of magnesium, such as oil sump, cylinder-head covers, intake manifolds, and gearbox bell-housing were in this material that cost five times as much as aluminium alloy and that was never used in such quantities in subsequent production cars. 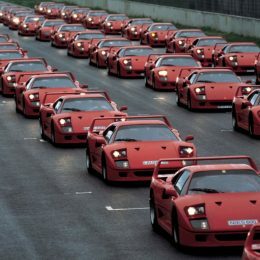 This is just a small example of this car’s “difference”. 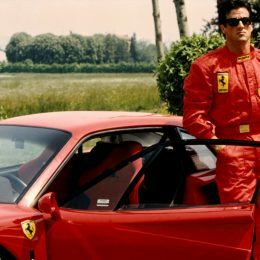 Dario Benuzzi, a Ferrari’s long-term test driver, participated in an arduous and meticulous testing job: “The handling of the first prototypes was poor. 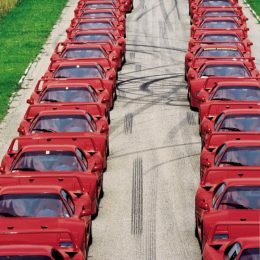 To tame the power of the engine and make it compatible with a road model, we needed to subject every aspect of the car to countless tests: from the turbochargers to the braking system, from the shock absorbers to the tyres. 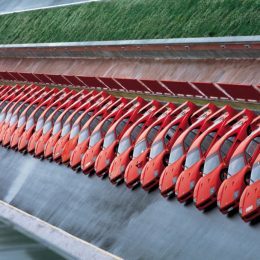 The result was an excellent aerodynamic load and high stability even at high speed. 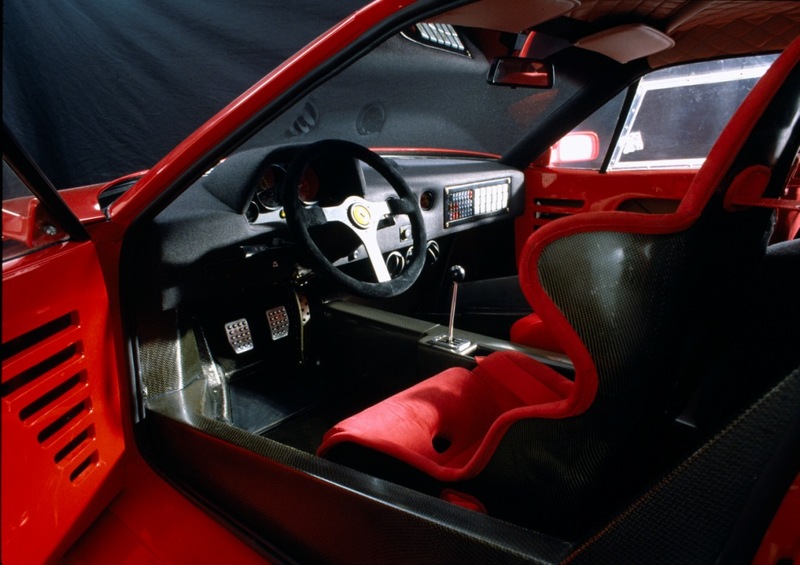 Another important aspect was the tubular steel frame with Kevlar reinforcement panels, which provides three times more torsional rigidity than that of other cars of the period, and a bodywork made mainly of composite materials that reduced weight to just 1100 kg. 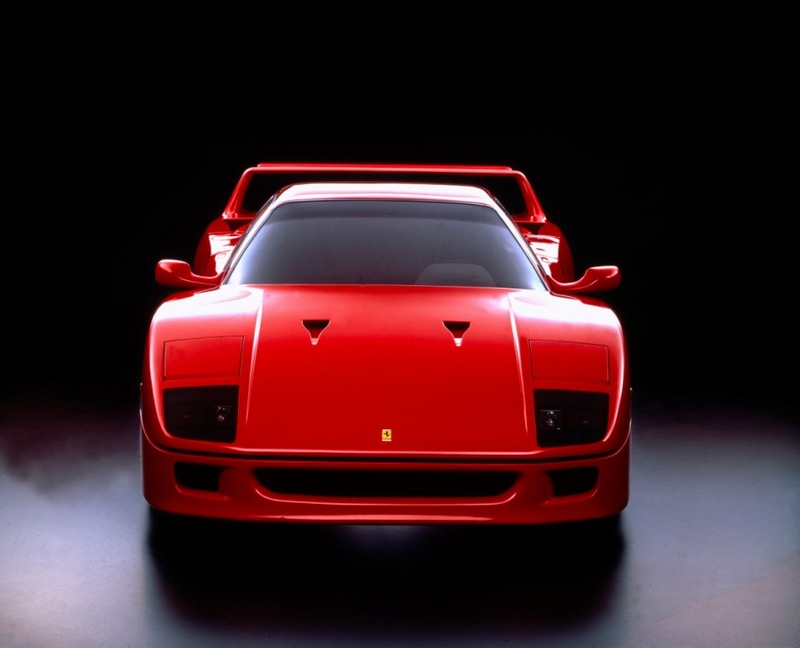 We obtained precisely the car we wanted, with few comforts and no compromises. 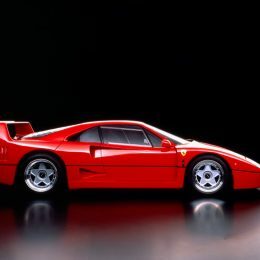 With no power steering, power brakes or electronic devices, it demands the skill and commitment of the driver but generously repays it with a unique driving experience. 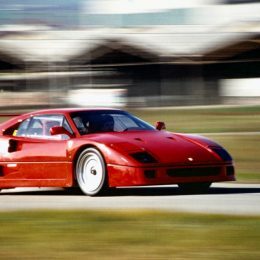 Steering precision, road holding, braking power and intensity of acceleration reached unmatched levels for a road car. 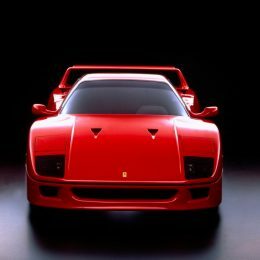 The F40 is on show at the Ferrari Museum of Maranello as part of the “Under the Skin” exhibition devoted to the evolution of innovation and style in the 70-year history of the Company.